When: Sunday, October 14. Walk from 10 am - 11:30 am. Followed by lunch at either the farmers market or Cafe Belong at the Evergreen Brickworks from 11:30 am - 1 pm. 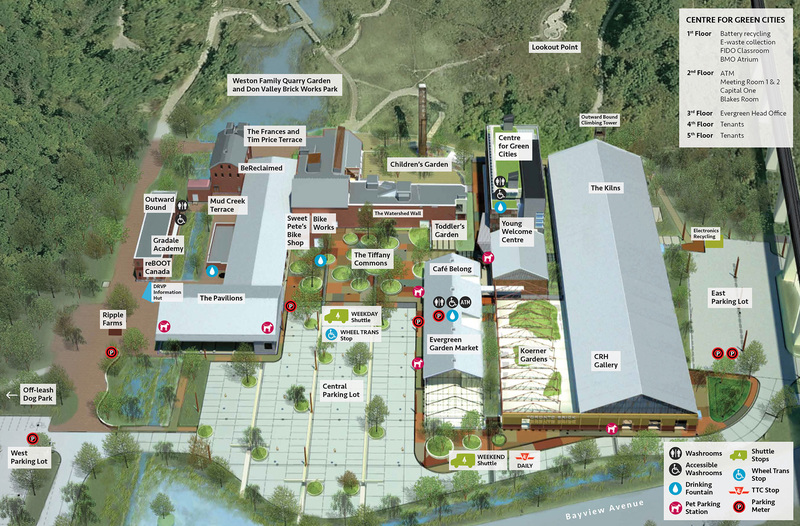 NEW meeting spot: Meet at Evergreen Brickworks at 10 am, right in front of Sweet Pete's Bike Shop, see: https://www.evergreen.ca/images/badges/VisGuide_201805_MAP.jpg - or come for lunch only. What: We will walk for approximately 1.5 hours along the Rosedale/Moore Park ravine trail and end back at the Brickworks for food. The Evergreen Farmer’s Market will be open for shopping. - If you can’t find the group or your arrival is delayed call or text Ilene at 647-680-6554 to ensure we wait for you. - If it is raining, we will still meet up and just hang out under the covered market area or in Cafe Belong.